Formal opportunities to celebrate student participation and success in college and external activities are sought on a regular basis. A General Assembly each term provides a vehicle for acknowledging student achievements in areas such as academic, sport, music and performance based events. In addition, each year in November, the College conducts a Presentation Evening which is designed to recognize the achievements and talents of our students. 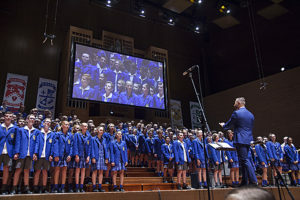 The night features the whole Year 7 student body leading the community in singing the school song, The Road and the National Anthem, led by the Musical Director. Reports are given by the College Captains and other College leaders on the work that has been done throughout the year, both academic and social. Performances include the Emmaus Idol and Battle of the Bands winners and various other school ensembles such as the Soul/Blues band, Percussion ensemble, String Ensemble, and Vocal Ensemble. The night recognizes the sporting achievements of the students with the following awards: Swimming, Athletics and Cross-Country Champions, Sportsman, Sportswoman All-rounder Awards and Top House. A series of Year 11 Academic Awards such as the Monash Academic Award, Sheely Award and Marist Sisters Awards are presented, as are the winners of the Christian Witness Award at each year level from Years 7 – 11 and a presentation is made to the previous year’s Dux of the College. At this event, the College Student Leaders for the following year are announced. The night concludes with reprise performance of a number from the College Production of that year. Emmaus Day is a pivotal event for both staff and students in consolidating the experience of community life at Emmaus. The day commences with the celebration of the Eucharist, followed by a range of fun activities, culminating in a talent quest in the afternoon. Each House celebrates its charism with a House Day which includes Mass, along with activities to engage all students from Years 7-12, including a shared lunch. 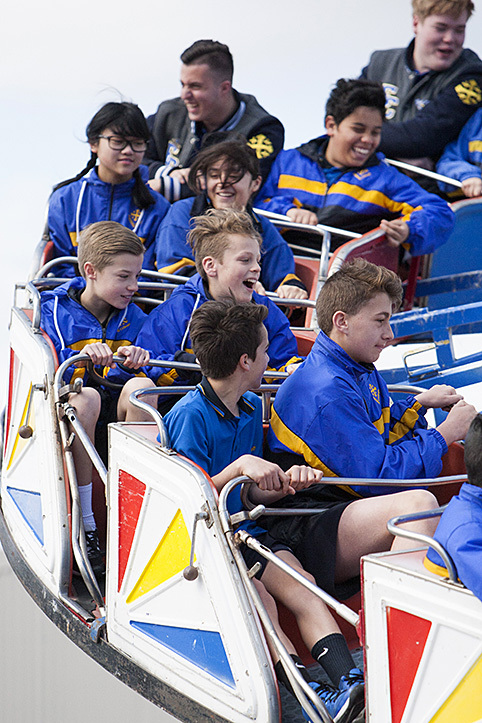 Other events such as the various Music Soirees, the Art Display, Open Day, Year 12 Graduation Mass and Final Day and End of Year Masses, along with House and Year Level Assemblies to name but a few, create a structure to assist in celebrating life at Emmaus College.